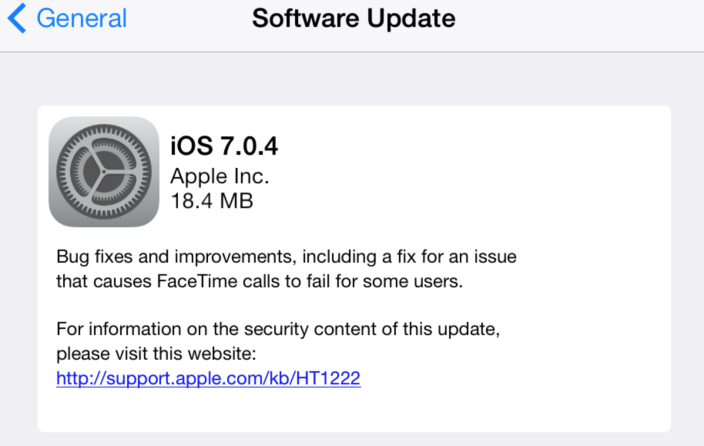 Apple just released iOS 7.0.4 for the iPhone, iPad, and iPod Touch. This updated is said to fix some bugs, especially FaceTime issues that people are having. Some users were reporting that calls were failing. This update should fix that issue. If you are interested in jailbreaking or are already jailbroken, you will want to stay away from this update until it has been proven safe and compatible.